It is a real pleasure and privilege for me to speak at the International Institute for Strategic Studies. I want to thank Dr. Chipman for his kind invitation. 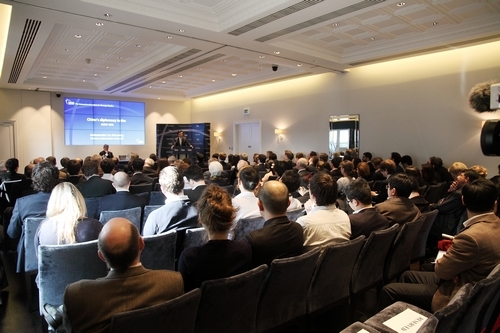 Being a world-leading institute in strategic studies, IISS’s research and analysis on global security, world politics and military conflict is held in high regard world-wide. The publications The Military Balance and Strategic Review are on the must-read list of many scholars in international affairs. Take Military Balance 2011 for example, which I quoted many times in my speeches. Military Balance 2011 showed clearly China’s defence spending was low compared with other major countries. In 2010 Chinese defence spending made up only 1.3% of China’s GDP. This figure was much less than that of traditional military powers like the US, UK and Russia. In addition the data showed that Chinese defence spending was comparatively lower than emerging economies like India and Brazil. Military Balance 2011 also revealed that on per capita terms China’s military spending was even lower. It accounted for merely one thirty eighth of the US and one twentieth of Britain. I am deeply impressed by Military Balance 2011 as these figures are so striking and convincing. Now back to the theme of my speech today. That is China’s Diplomacy in the New Era. First, there has been a major leadership change in China in recent months. As these new leaders take office we can expect them to maintain overall consistency with China’s foreign policies. However, inevitably there will be some new features in China’s diplomacy. Second, today’s China is very different from the China of ten years ago - or even five years ago. China is now the second largest economy of the world. China’s foreign trade volume is basically on the par with the United States. China has the world’s largest foreign exchange reserve. Last year China had overtaken the United States and become the largest international tourism consumer. The number of outbound Chinese tourists reached 83 million. They spent 102 billion US dollars. Third, the world today is undergoing unprecedented changes. Billions of people and a large number of developing countries are marching towards modernization. For the first time emerging market economies and low income countries make up over half of global GDP. These trends show global growth gravity is shifting. Developing countries contribute more than 50% to global economic growth. At the same time interdependence among countries are deepened as never before. Interests of all peoples are increasingly intertwined. So, what do all these global changes mean for Chinese diplomacy? 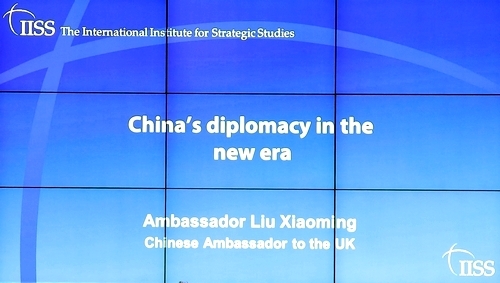 To understand China’s diplomacy in the new era, I believe we need to grasp the goals and actions of China’s diplomacy. First, it should be a world of peace and development. The past three decades saw the unprecedented growth of China. This directly evolved from China’s ‘reform and opening’ up policies. It is also well worth stressing that this growth of China is equally attributable to the overall peace and stability in the world. · Global threats and challenges of various kinds crop up one after another. · Local turbulence and hotspot issues remain intractable. · International terrorists, ethnic separatists and religious extremists are still rampant in some regions. The Boston bombings two days ago are just a case in point. · Without peace, neither China nor the world can achieve its development goals. China wants to realize its dream of economic growth, national revival and the contented life of its people. 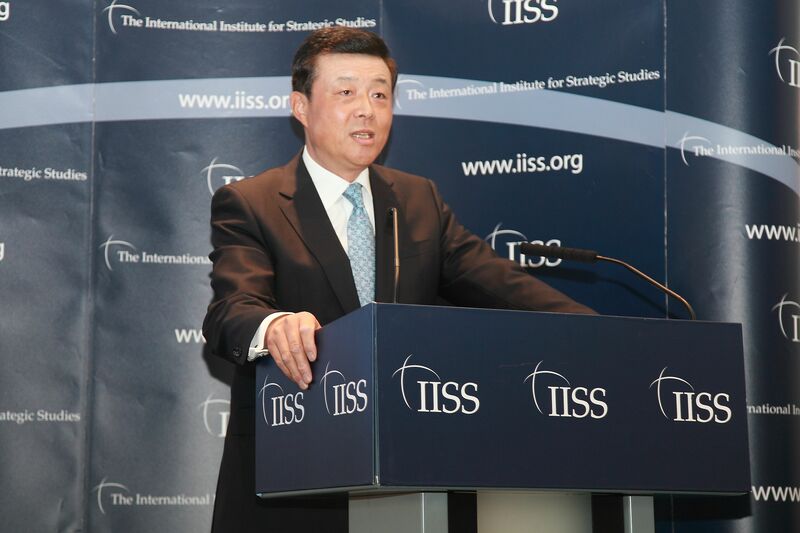 · China must strive to create an external environment of lasting peace and stability. · China must work hard to make sure that peace and development will prevail in the world. · China must also work to get other countries on board for a path of peaceful development. The second kind of the world China needs is a world of openness and cooperation. In the past decades, China has taken an active part in globalization and benefited great deal from it. A striking feature of globalization is openness and cooperation. China has followed this trend and fully integrated itself into the world. The result is China has achieved development through openness and cooperation. Today’s China is the largest trading partner of dozens of major trading countries. If we take a look at the world economic landscape, we will see that the international financial crisis has wreaked great damage. Uncertainties and destabilising factors in global economic growth are on the rise. It is, and should be, of very deep concern that the spectre of protectionism is looming. In such circumstances China even more strongly advocates and supports a multi-lateral trading regime. There is compelling evidence of the mutual global benefits of a trading system that is open, free and facilitating. It is critical that globalization advances and does not retreat. Two days ago China and Iceland signed a free trade agreement. This is the first bilateral free trade agreement China has concluded with a European country. It is one of the concrete actions that China has taken to promote China-Europe win-win cooperation. The aim is to advance trade and investment liberalisation. I believe it will play a positive role in promoting free trade in the world. The third kind of the world we need is a world of diversity and harmony. Today’s world is moving towards multi-polarity. This means we feel the presence of not only the East and the West, but also the South and the North. Many have quoted from The Ballad of East and West by British poet Rudyard Kipling to accentuate the estrangement and confrontation between the East and the West. But, this is only the first stanza of the poem. China believes that there should be diversity in world civilization. The world is rich and diverse only when nations and peoples maintain their distinct characteristics. Along this line of thinking China also believes that there is not a one-size-fits-all model. What I have described above are China’s dream about the world. Then how will China make this dream come true? That leads to the question what China’s diplomacy will do. I believe China’s diplomatic actions will concentrate on three areas. First, we will carry out the spirit of mutual benefit and pursue friendship and cooperation with all other countries in the world. In his book The Grand Chessboard, Zbigniew Brzezinski describes the Eurasia continent as the geopolitical chessboard or focal point for American diplomacy. China thinks much more broadly. The Chinese diplomatic chessboard reaches far beyond the Eurasia continent. China will improve and develop relations with developed countries. We will broaden cooperation areas and properly manage differences. More importantly, China will not repeat the history of the current established powers who confronted each other and fought for ascendancy. Rather China will build a new type of relations between big countries that feature openness, inclusiveness and mutual trust. In their recent telephone conversation, President Xi Jinping and President Obama have reached important agreement on this new type of relations between China and the United States. China and the EU have established a comprehensive strategic relationship. This is very significant as we are each other’s largest trading partner. China firmly supports the EU efforts to tackle debt crisis. We are now discussing with the EU about institutional building for China-EU mid and long term cooperation. At the same time we will redouble efforts to advance cooperation in urbanization, new energy, scientific innovation and green development. China will stick to the policy of developing friendly and good-neighborly relations with surrounding countries. Following this policy, China will strengthen friendship with our neighbors. Also, China will deepen mutually beneficial cooperation so that China’s development will bring greater benefits to countries in our neighborhood. China’s trade with its neighboring countries now stands at 1.3 trillion US dollars. This is more than combined volume of China-EU and China-US trade. China will take an active part in Asian regional cooperation. We also firmly support opening Asia for cooperation with other regions. We welcome countries out of the region to play a constructive role in the region’s stability and development. · China will not compromise its legitimate rights and interests. · Nor will China sacrifice its core national interests. · But China is always committed to handling and resolving disputes through peaceful consultation and negotiation. · China will always be a force for regional peace and stability. · We are keeping a close eye on the recent destabilizing factors in our neighboring area. · China will not allow anyone to make trouble on its doorstep. · Nor will we allow any country to disturb Asia. Turning to relations with other developing countries. China will consolidate solidarity with developing countries. We will always be a reliable friend and sincere partner of developing countries. · 20 billion US dollars of loans. · Train 30 thousand personnel of various specialties for African countries. · And offer 18 thousand scholarships for African students. China will step up cooperation with emerging economies like the BRICS countries to achieve common development. Our objective is to boost economic growth of BRICS countries, improve the cooperation mechanism and make our collaboration more fruitful. China will push forward the initiatives of the New Development Bank and Contingent Reserve Arrangement. China will work to speed up practical cooperation in a wide range of areas so that political consensus can be translated into actions. The second area of China’s diplomatic action is in multilateral diplomacy. · China will actively participate in multilateral affairs. 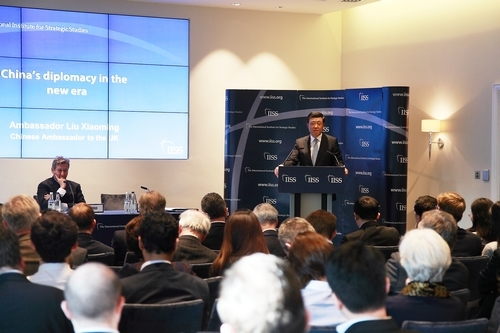 · China will contribute to the building of international system and global governance in the new era. Profound changes have taken place in the international situation. The result is that all countries need to work together as passengers in the same boat. China believes that the multilateral system in the 21st century should keep pace with the times and be more just and reasonable. To this end, it needs to be more representative, more fair and more effective. China is a player, builder and contributor of the international system. We will always bear in mind the interests of both Chinese people and peoples around the world. · China will take a more active part in international political, security and development affairs. · China will play the role of a responsible big country. · China will join hands with other countries to address global challenges. · China will continue to support the United Nations, G20, Shanghai Cooperation Organization and BRICS. It will encourage each to play their positive role. · We believe that efforts should be made to improve the international monetary system. That means increased coordination on macro economic policies; toughen international financial regulation; and increase developing countries’ representation and say in international financial institutions. · China will continue to play a constructive role on international and regional hotspot issues. · China will help to resolve the issues or ease the tension. · China will work to maintain peace and stability of the Korean peninsula. · China will promote the settlement of the Iranian nuclear issue through dialogue and negotiation. · China will help move forward the political process of resolving the Syrian issue. · China will continue to actively participate in international security dialogue. That means cooperation in disarmament and arms control; nuclear non-proliferation; counter terrorism and combating sea piracy. Turning to the third area of China’s diplomatic action. China will redouble its efforts in public diplomacy and people-to-people exchanges. This will increase mutual understanding between China and the rest of the world. Maybe it is because Western media believe that bad news is more eye-catching and increases more readership. But the result is the public in Western countries has been denied a full and true picture of China. Therefore an important task of China’s diplomacy is to make China’s voice heard and let the world know good news about China. This means China must be much more effective in telling the real story about China. · People in other countries would know about China’s history, culture, tradition and its current unique system. · They would appreciate the long journey China has traveled, how it has traveled and where it is headed in the future. · They would understand China’s economic, political, social and foreign policies. · They would get an idea of Chinese people’s feelings, thoughts and daily lives. If we can do this, there will be more understanding, less miscomprehension about China. There will be more people seeing China as an opportunity rather than a threat. My speech today can be regarded as a part of these efforts. I do hope it will help you with a better understanding of China’s diplomacy. This morning I attended Baroness Thatcher’s funeral as representative of the Chinese government. I know there are diverse opinions about her in British public and media. However, we in China fully acknowledge her historic contribution to the development of China-UK relations, in particular the resolution of the Hong Kong question. People may debate whether this is an accurate summary of Thatcherite diplomacy. But, I do feel that diplomacy needs to allow both principle and flexibility. A review of China’s diplomacy since the founding of the People’s Republic shows some striking features. This is that Chinese diplomacy is upholding principles and pursuing ideals. At the same time we stress combination of principle and flexibility. In this new era, China’s diplomacy has identified its goals and set out its actions. We will maintain consistency and make innovations. For these reasons, I am convinced that China’s diplomacy will achieve, advance and make many more contributions. In this way China will help make the world a better place for us all to live.